This is one of those books that's both absurd and funny. 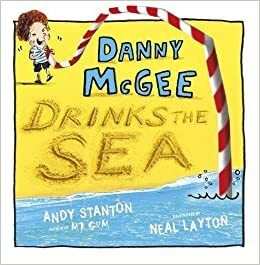 Danny McGee bet his sister that he can drink the sea so she gets him a very long, red and white striped straw and he does. Danny then starts swallowing everything, and I mean everything! 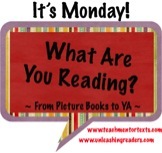 There are a couple of fun twists that will surprise and delight young readers. With its rhyming text, this will be a fun book to read aloud. I don't know a kid who is not delighted when underwear is mentioned in a book. With "undies" being the topic of this book, I'm sure my students will want to read this again and again. Monster's mom brings him to Undie World to get a new pair of underwear, but none of them seem right. It's not just the word "undies," but also the rhymes and illustrations that make this a fun read. Beatrice Zinker is quite unique, considering she does her best thinking upside down. She plans a secret mission which she is determined to carry out even when her best friend starts spending more time with another classmate. The book is both funny and warm-hearted and the illustrations are charming. You can read more about my thoughts here. This book will be available in September. Karma is about to start middle school, but there is much for her to be worried about. First, she has seventeen hairs on her upper lip. Her friend, Sara, is acting different around Karma and starts to spend more time with a new classmate. The situation at home isn't so easy either, as Karma's dad is out of a job and she misses her Dadima who has recently died. Karma's story is reflective of the experiences of those who are in their middle grade years. Her self-consciousness related to the changes her body is going through is something that middle school-aged children can relate to. Karma's challenges with friends and family are also realistic and can help to show young readers that the ups-and-downs of middle school are a part of growing up. Karma is humorous and kind. While wanting to make her situation better, she also tries to make the right choices. I think middle grade readers will enjoy reading about Karma and how she manages the challenges of middle school. This book publishes in August. Clover's best friend, Danny, has suddenly come down with a mysterious illness. With her fascination with science, Clover will do whatever is necessary to ensure that Danny gets better. The book explores the power of friendship, love, and magic. There are many beautiful parts, but it will be one for readers who don't mind sad books. What a great list of books. I need to add them all to my TBR pile. So much to read! The TBR pile will never be finished! I have a couple of granddaughters who will love those funny books you shared, Lisa. And thanks for The Someday Suitcase, too. Those stories are needed, too! Kids love funny books! Sometimes we need a good laugh! I'm looking forward to book 2, as well. It'll be worth the wait, I'm sure! Your daughter has a great name! Beatrice is such a spunky character. I think the cover of Karma will attract readers. I have Karma on my TBR! I can't wait to get to Beatrice Zinker. She's waiting for me in my stacks! Beatrice Zinker has been getting lots of buzz. Can't wait to check it out. Such a good one for transitional readers. 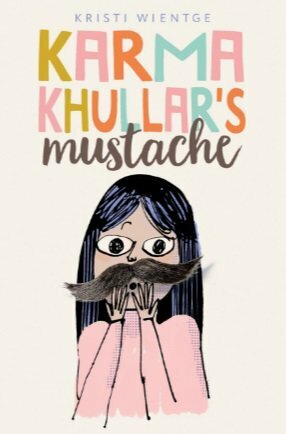 Karma Khullar's Mustache is in my pile of to read books, I will have to move it to the top, based on your review, thank you! 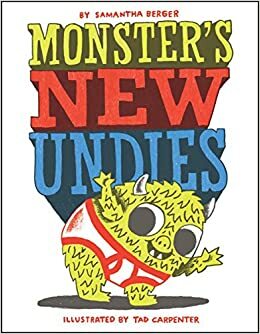 I thought Monster's New Undies was hilarious! Not only will kids giggle, I know there are plenty of grownups that can relate to the agony of trying to find the perfect underwear. I'm definitely looking forward to reading the other books on your list. Have a great week! 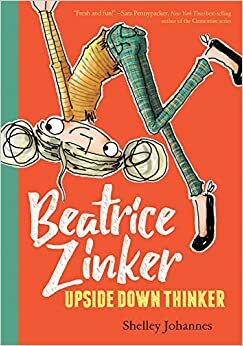 I'm now really looking forward to reading Beatrice Zinker, Upside Down Thinker, but I really hate having to wait! 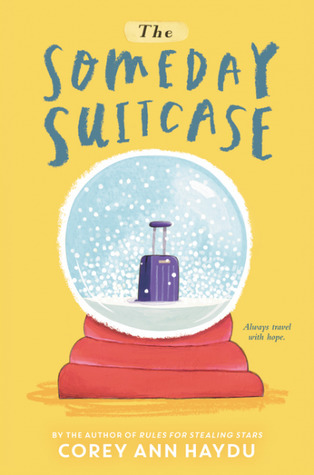 I'm not sure about The Someday Suitcase because my reading life has had enough of them for a while. I think I'll wait awhile, although it does sound powerful.